NOW FREE: Watch the Replay of the third and final round of the Suzuki Series 2018 from Whanganui NZ. This famous Boxing Day street race was on the public roads of Whanganui's Cemetery Circuit and is one of New Zealand's biggest bike races, an iconic event on the Kiwi race calendar, a spectacular one-day show that attracts many thousands of race fans each summer and also lures top-class motorcycle racers from throughout New Zealand and from overseas as well. You are able to join virtually the excitement of Replay: Cemetery Circuit 2018. 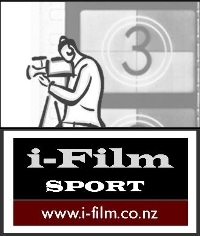 Watch a high quality LIVE video stream brought to you by i-Film. Enjoy, interact and watch the live feed from any of your internet connected devices. On Dec 26, 2018 8:50 NZDT to Dec 25, 2019 16:00 NZDT you will come back here and watch the show LIVE!! The i-Film team will be providing a video on demand replay of this event within the next 24 hours after the completion of this event to watch at your convenience. On behalf of i-Film Cleeng teams provide support before, during and after the event. Due to high traffic just before and during the event, critical requests will be handled first, so please moderate your questions and only send if very urgent. Please try not to send multiple requests.